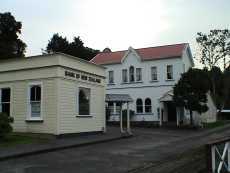 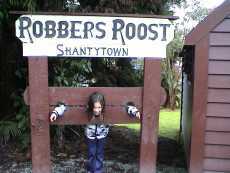 Shantytown is located about 45 minutes drive from Lake Brunner. 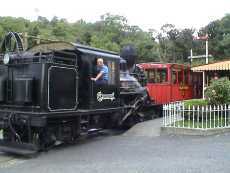 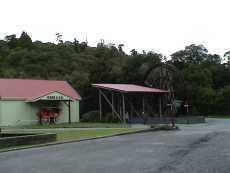 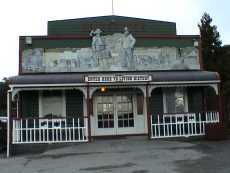 It is a replica gold mining town, located close to an original gold rush site and town, at Rutherglen. 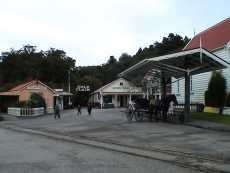 Many of the buildings are original, saved from old towns around the West Coast. 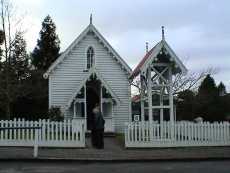 As an example of this, the church built in 1866, is the last surviving building from Notown which in those days had a population of 9000 people. 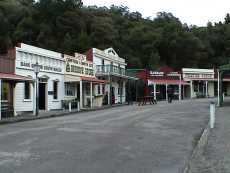 Like many other boom towns around the West Coast, it died as fast as it grew, once the gold was panned out.